My day began early as a Easy Morning Rebel in Lexington, KY as I got ready and headed towards Louisville for the 10th anniversary of the Forecastle Festival. I prayed to the spirits that the day would be awesome, especially since I was going by myself. This was going to be my One Big Holiday. I made it to Louisville in no time and found a really close parking spot to the festival. I then went and stood in line to get in for the Soundcheck Party for My Morning Jacket. It was already pretty hot and humid, and I was wondering if it was going to be like that the whole day. But soon enough that rowdy storm moved in with lightening, thunder, and cool winds. The festival assistants said just to Lay Low while the storm was going on. 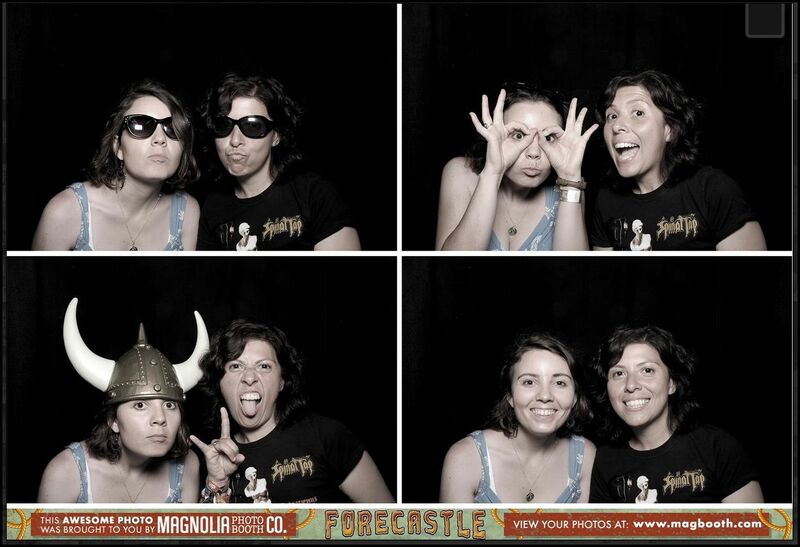 Thankfully, I had already met a friend, another girl at the festival who had come all the way from Seattle, Washington. While we waited for something to happen, we talked about the reason why we love MMJ. We were One In The Same on why we were Jacket fans. She then gave me her phone number and said if we get separated in the crowd and All Else Fails, then we could still meet up before the MMJ show. Then the guys came out and played a few songs for the fans, since the weather was too bad to do a soundcheck. It was pretty awesome that they came out and did that. Of course, I was at the very back of the crowd and couldn’t see too much. The girl I had just met managed to get to the very front. And she got to hug Jim! She said she did a Victory Dance. After that, I told her that we weren’t allowed to separate the rest of the day. But it was still fabulous to be able to sing with the guys on how Wonderful we all really felt. I then got lunch with my friend at the Galt House and we followed Twitter to get the Lowdown on the Forecastle delays. 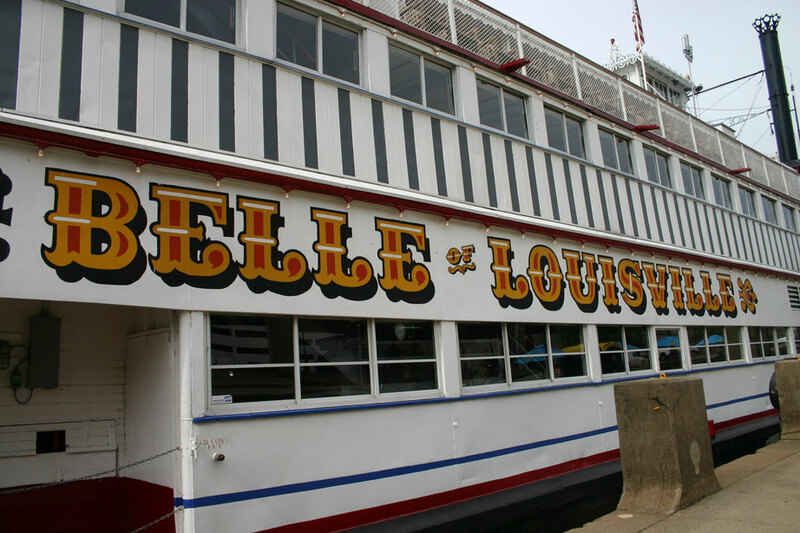 After that, we stopped by the Steam Engine “Belle of Louisville” so I could get a photo. I then met my friend again and we hung out for a while, looked at the boats on the river, and then walked down to stand in line for the Roll Call Pit section. We met a couple who were also big MMJ fans and we giggled for a while about our love for MMJ. We then got annoyed at this big dude, who was shirtless and wearing a sailor’s hat, who cut in front of us with his buddies. My Evil Urges kicked in and I said Skipper needed to go catch the S.S. Minnow and sail out of the festival. They were Highly Suspicious. After waiting a while, my friend asked me what time it was. I said I didn’t know, but I said It’s About Twilight Now. Getting in the Pit was a pretty scary event. But I called upon the spirit Gideon to protect me. I think they need a ladies section, cause all the big guys were knocking everyone down. I scouted my spot within a several other girls because I knew they wouldn’t be pushing on anyone. I’m still a little deaf though, since I got right in front of the big box speakers. It was fun listening to the people around me. One man was older, maybe near 60 years. He was decked out in tie dye and said he had driven from Nashville to Kentucky. He then drank and energy drink he had been saving for over a year for a special event. The drink was called ‘Cocaine’. I was hoping he was going to make it through the night. I’m guessing he survived. I didn’t see him there after the last song. But the night was awesome, especially after getting some banana potassium in my system (MMJ threw out bananas to the crowd during a Careless Whisper cover (link for video)), which helped me to get some energy Out of My System. I just loved hearing Rocket Man and Careless Whisper. There just something about The Way That He Sings. I picked up my autographed poster then made it back to my car and headed back to Lexington. I felt pretty Golden for the drive home as I still had that live music high. I know The Day Is Coming when MMJ will decide they’d like an Oboe for one of their songs on their next album. It’s a Changing World, and you never know! Just look at Ben Sollee. At the end of this year I’m going to look at The Year in Review and say that this was a pretty great day!